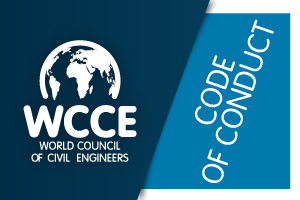 The World Council of Civil Engineers, the United Nations Office in Spain and Aqualogy Foundation signed an agreement to publish a series of monographs under the topics chosen annually to commemorate the "International Year of Water" declared by the UN in the 2013-2015 triennium. The initiative has been welcomed by several stakeholders including UN agencies which have presented their views on water related topics. Views expressed were non unanimous and even opposite, but have enriched the reader expressing pros and cons of each approach, being respectful with the other. The monograph discusses, inter alia: the importance of water cooperation; regional and global cooperation; challenges for water, energy and waste cooperation; the human right to water and sanitation for all without discrimination and the need to address cooperation issues on a regular basis. The monograph discusses, inter alia: the importance of the Water Energy Nexus; cross-border policy responses in the Water Energy Nexus, the role of UNIDO, knowledge challenges for addressing integrated water and energy policies and challenges, solutions and UN initiatives on the topic. The monograph discusses, inter alia: the importance of the Water management in Sustainable Development, Risk Assesment for Water Systems for a Sutainable development of the Communities, Sustainable initiatives on the Water sector: the Water for Life Awards. The monograph discusses, inter alia: the importance of the Water in Economy, Circular Economy and Water, Economic Analysis of Integrated Water Management Resource.